Bihar: Election strategist Prashant Kishor will now be seen acting on stage rather than behind the scenes. He has entered in Indian politics and started his political journey from Bihar. Prashant Kishor is going to join the JD (U) State Executive Committee in Patna today in the presence of Nitish Kumar in Janata Dal-United (JDU). It is reported that Bihar Chief Minister and JDU chief Nitish Kumar will get him the party’s membership in the JDU’s state executive meeting. It was reported on last week that Prashant Kishor could start active political innings, although he himself refused later, but has tweeted this today by tweeting it. 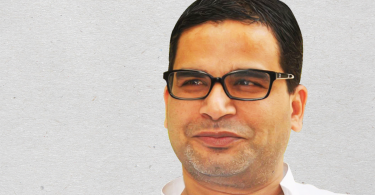 1- Prashant Kishor was born in 1977 in Buxar district of Bihar. Prashant’s father Dr. Srikant Pandey is a doctor from the profession and has also been a Medical Superintendent in Buxar. Mother Indira Pandey is the housewife at the same place. 2- Prashant Kishor’s elder brother Ajay Kishor lives in Patna and has a business of his own. Prashant Kishore has two sisters. Father Dr Srikant Pandey runs his clinic in Buxar after retirement from government service. 3- Prashant Kishore completed his early education in Bihar and later he went to Hyderabad to do engineering. Here he completed technical education. After that he joined the job in UNICEF and took charge of branding. 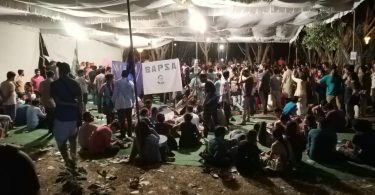 4- After working with UNICEF, in the year 2011, Prashant returned to India and completed Gujarat’s famous event called ‘Vibrant Gujarat’. The responsibility of branding etc. of this event took over itself and it was very successful. It is said that during the event of ‘Vibrant Gujarat’, he was identified with the then Chief Minister of his state, Narendra Modi and then Prashant Kishore started working for Modi. 5- The real identity of Prashant Kishor is made from the 2014 Lok Sabha elections. In this election, he worked for the BJP and gave credit to Prashant Kishor’s election strategy for the BJP’s massive victory. It is said that Prashant Kishore was the brain behind two important campaigns for campaigning in the 2014 Lok Sabha elections, ‘Chaai Par Charcha‘ and ‘3-D Narendra Modi’. Both of these campaigns were very successful and the BJP reached to central power. 6- However, after the victory in 2014, Prashant Kishore’s distance from BJP increased and he turned towards Bihar. Prashant Kishor worked for the grand alliance in the Bihar Assembly elections in 2015 and here too he has been successful in showing charisma. After this election, Prashant Kishore’s close proximity to Nitish Kumar and both of them were seen together in many places. However, when Nitish Kumar came against the BJP, there was also news of sabotage from Prashant.